When you’ve got a cross between a sports car and an SUV, you know you’re going to stand out. 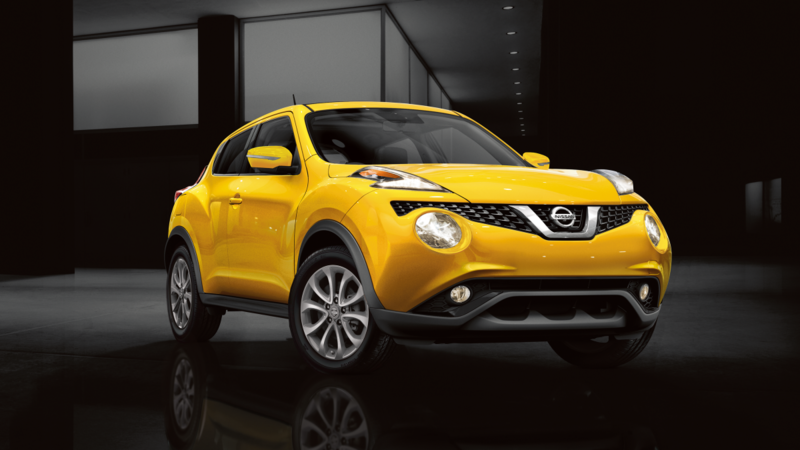 That ’s what the Nissan Juke is all about a crossover with the ability to command pure attention. NISSAN Products shown may vary from theactual commercial NISSAN Products releasedin the Philippines. NISSAN DYNAMIC CONTROL SYSTEM - CHANGE YOUR MOOD ON THE FLY. The Nissan Juke comes with the world’s first I-CON System that gives you the freedom to easily switch from various driving modes, from a more fuel-ecient ride to a truly thrilling drive. It also allows you to adjust interior temperature all in one single panel, allowing your passengers to enjoy the journey as much as you.